I love the X6 5.0i! Why did they call it the 5.0i? Why not the 4.4i? Like the 1st generation X5 - 4.4i. I've actually driven in one, you can call it a Cayenne or Cayman eater. I don't think that Cars in Action are cheating. Actually there are some sites that hate BMW but finally they admit that it's the ultimate driver's car. cars in action has tested the X6 50i with 5.1s 0-100km/h... at sealevel and with 5.3s at 1400m abouve sealevel..
Cars in Action have a good taste and a deep understanding of the best automobiles namely BMW. 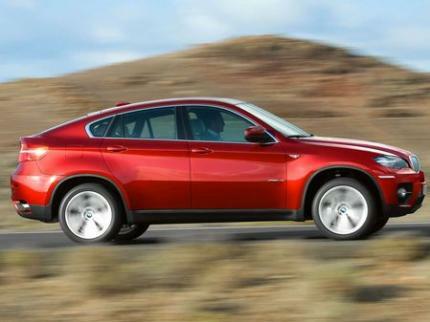 Though I don't also think that the X6 xDrive50i is able to beat the M3, M5. I think the 0-100 acceleration number of 5.1 seconds is not real. Though its engine is superb it can't propel a 2200kg car so fast. The actual figure should be about 5.4 seconds. Can anybody tell me where this figure is taken from? Wads & FL, thanks for changing the times! At least you guys could understand what I was saying without being fat, *******, bastards about it! Thanks for swearing at me Georg! We were having a decent discussion about a very valid point, but you felt the urge to swear at me to get your point accross? Is there something wrong with you? If more laptimes must be moved, please mark them with "m" next to laptime via "[Edit]" tool and I will transfer them to "Kyalami (New)" trackpage. the GT-R, and GTI Mk VI for sure... we need to work through the cars in action database... if I am not wrong they have now marked the new track layout laptimes with a * in their overall laptimesheet..
Georg.... FL added the new config of Kyalami.... do you know which other lap times should be moved? Agree, It Is A Freak Time! I'm not saying we should delete the time..... we are agreeing! I still think its a freak result as the turbo RS6, WRX STi and TT-S are slower at Kyalami but quicker at other tracks..... we are still agreeing as any number of factors could be behind the X6s result including driver, "special" BMW press car, weather, tyres etc. etc. 3) we have to accept what car magazines claim ...specially if they claim that they are surprised by the result and never expected it..
4) there is still the possibilty that BMW gave them a X6 with more punch..which is no magic if they play a little bit with the turboboost.. you can hardly blame cars in action for something like that..and as sportscars has tested BMW tends to send very powerfull testcars..
Georg..... I wouldn't go as far as saying there was any cheating but I hope we can all agree that the Kyalami result is a freak..... the results observed there are not in line with results from other tracks and trusted sources. at the Ring the X6 is wayyyy down the list and is slower than the likes of the Golf GTi (even the crappy Mark 4), Opel Corsa OPC, Clio Sport etc. in fact on the majority of tracks we have times for the X6 is slower than ~75% of all other tests. Ok ill That Time Is Highly Strange. Georg, it is obvious to me that you just cannot be convinced at all. I will say it again - THERE IS ABSOLUTELY NO WAY THAT A X6 WILL DO A BETTER TIME THAN A R8! OK so thanks to "Boris the Blade" it appears that the X5 time was done on the new track layout at Kyalami which is around 3 sec per lap quicker than the old config..... so the X5 would have been down in the 2:07 region which makes more sense. We need a new version of the track adding to the database for this and any other laps on the new track layout. Then we could delet all US times because there the US cars always shine..
Because of only one strange time we should not delet it... cars in action has not published the X6 Kyalami test online (only the laptime) so we don´t know what the reason for the time was... and till that happen the best we could do is wait and stop craying like little nobs.. Unless there is a video to prove that CIA laptime I'd also vote for its removal..... beating an R8, M5, M3 and SL65 AMG (and lots more) seems highly unlikely even if all of the other cars laps were in the wet. My point exactly! Remove the times submitted by Cars in Action, or risk losing the credibility of this site! I think CIA owes us a race, on Kyalami, between the R8 and X6 with independeant drivers. Cars in Action magazine in South Africa is known to be biased towards BMW's. For this reason many people aren't buying the mag anymore. It is also a well know fact that the owners and editors of the magazine only drive BMW cars. I agree that all Cars In Action submissions should be removed. And you dont find that Strange? Cars with more power, lighter weight, better brakes, stickier tyres, better aerodynamics, more downforce, yet you dont fin it strange this XDrive 50I beat all those cars? not even a little strange? Georg, I know that. I live in Johannesburg. But hell! 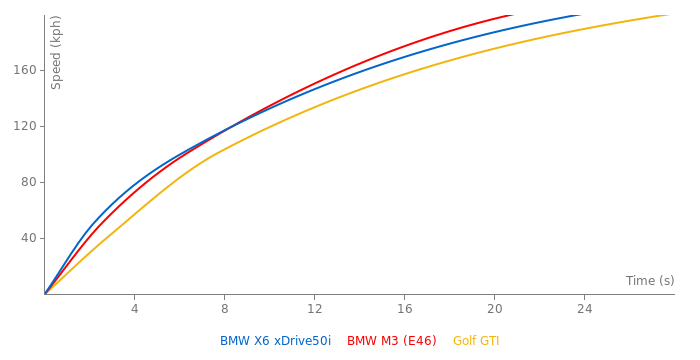 I dont believe that the X6 is capable of a better laptime than a R8! I am sure the X6 is heavier and it is also top heavy. Somethin the R8 is not. In my opinion, if Cars in Action wants to restore some credibility, they should re-test both cars on the same day under the same conditions, by a someone who is not on their payroll! These times are just a bit too much to swallow. Well somthing is up, not even the X6M can beat the R8. Somebody betta check they data.